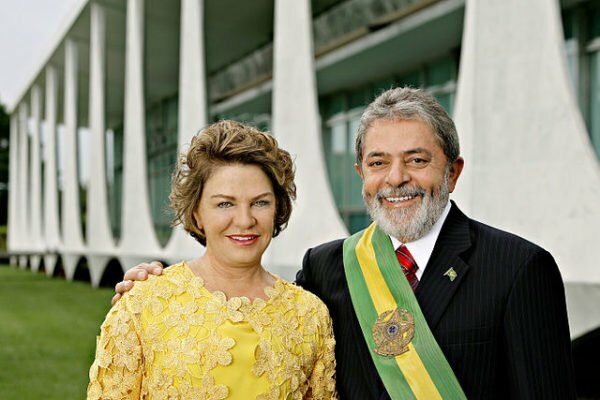 Home Tags Posts tagged with "marisa leticia da silva"
Former Brazil’s President Luiz Inacio Lula da Silva has confirmed former first lady Marisa Leticia da Silva, who had been earlier pronounced brain-dead, died at the age of 66. The funeral service will be held in Sao Paulo on February 4 and her body will then be cremated. Marisa Leticia da Silva was taken to hospital last week with a brain hemorrhage. Doctors later said her condition was “irreversible”. Her organs will be donated. Ex-President Lula’s spokesperson said in a statement: “Luiz Inacio Lula da Silva and his family are sad to confirm the death of Marisa Leticia Lula da Silva. “The former Brazilian president’s wife of 43 years passed away peacefully this evening in Sao Paulo surrounded by her family. Regional leaders have sent their condolences to Luiz Inacio Lula da Silva, and there was a minute’s silence in Brazil’s Congress. Marisa Leticia da Silva had helped her husband found the Worker’s Party, and the former president said in a Facebook message that she had made its first flag. Once adored by many in Brazil, Luiz Inacio Lula da Silva ended his second term in 2011 with an 83% approval rating. He had boosted Brazil’s global profile and overseen rapid economic growth during a commodities boom. However, last year Luiz Inacio Lula da Silva and his wife became ensnared in a far-reaching corruption investigation involving the state oil company, Petrobras. They said the accusations against them were politically motivated and designed to prevent Luiz Inacio Lula da Silva standing for president again in 2018 elections.